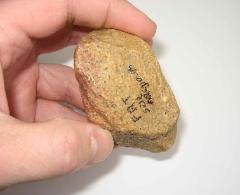 reference number (found in parentheses) that is within each listing. 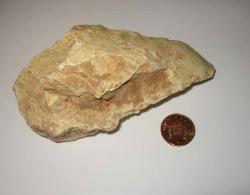 Mistekavi Cave, Gilf Kebir, Egypt. 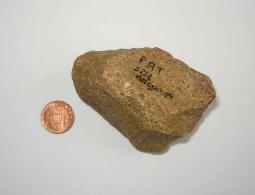 Quarzazate, Morocco. 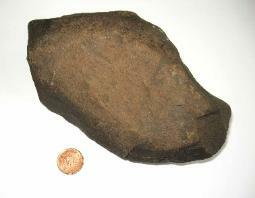 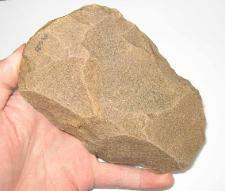 This is a BIG stone tool, and heavy! 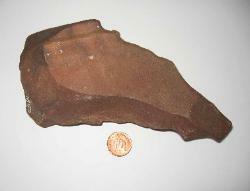 European Oldowan - Moledo de Minho, Portugal. 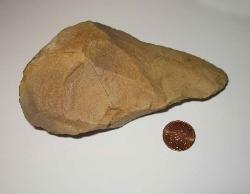 This is a HUGE stone tool. 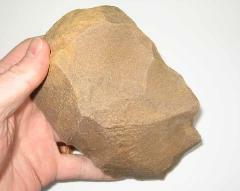 How those little hominids used it effectively is still a mystery. 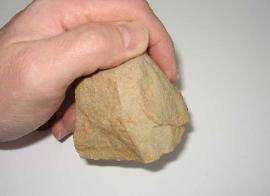 Heavy. 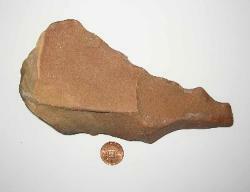 Esmara, Morocco. 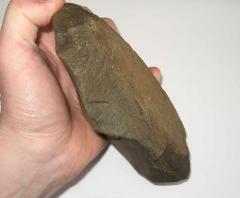 A huge and heavy stone tool. 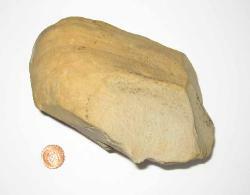 sometimes subdivided into types, such as chopper, scrapers and pounders, as these appear to have been their main uses. 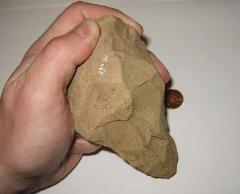 technology as long ago as 1.76 million years ago, by Homo habilis. 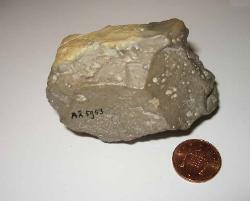 now a suburb of Amiens in northern France, where some of the first examples were identified in the 19th century. 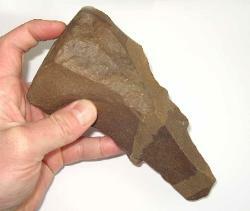 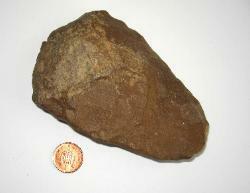 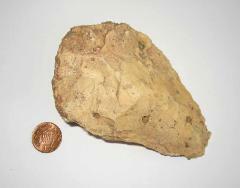 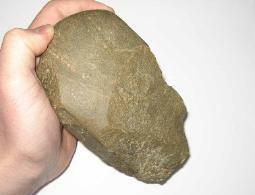 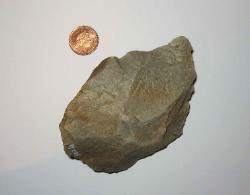 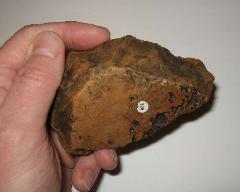 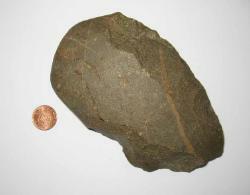 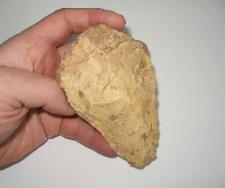 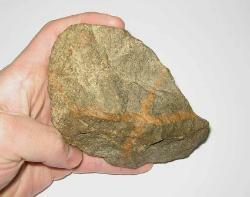 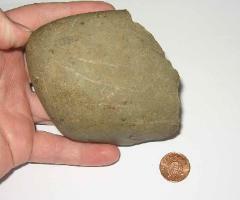 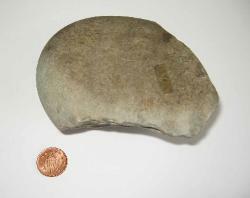 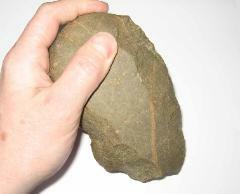 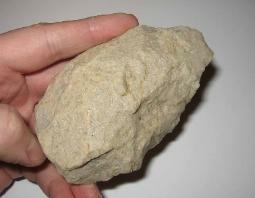 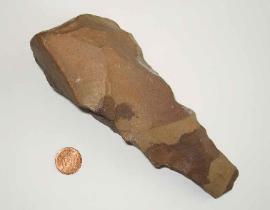 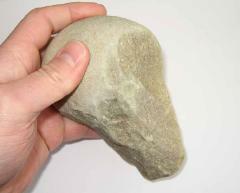 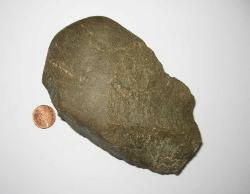 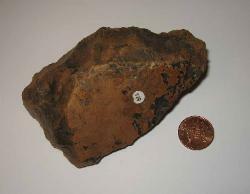 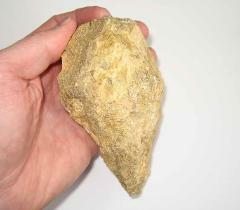 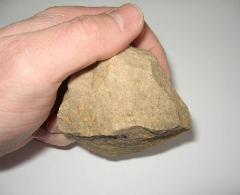 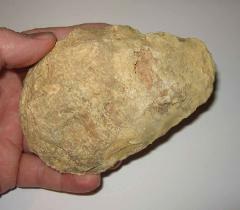 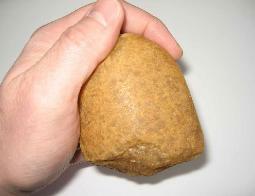 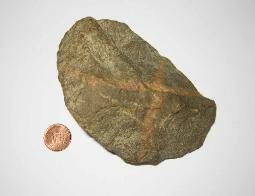 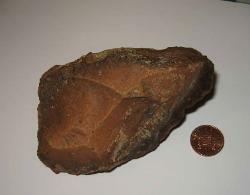 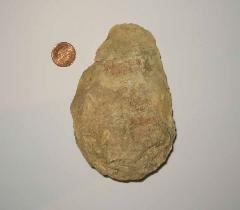 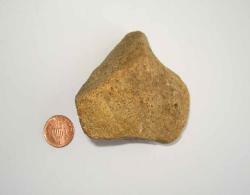 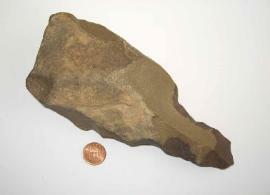 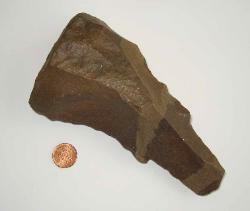 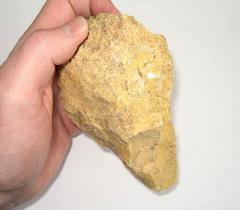 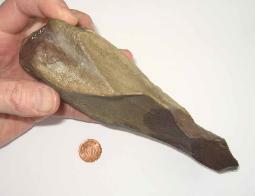 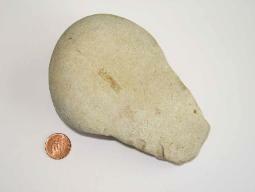 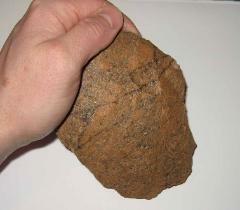 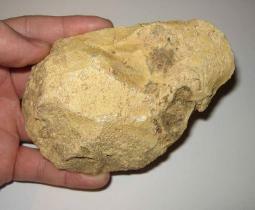 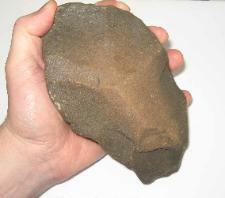 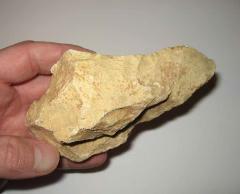 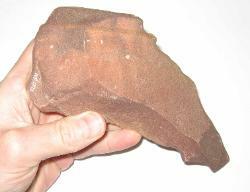 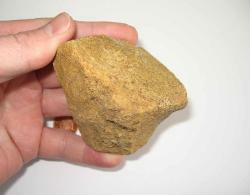 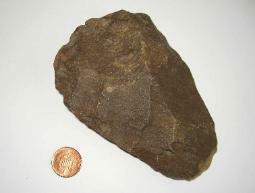 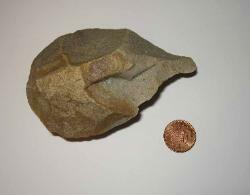 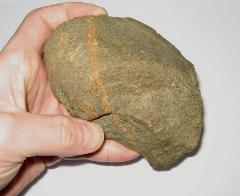 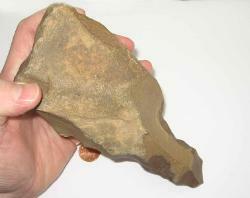 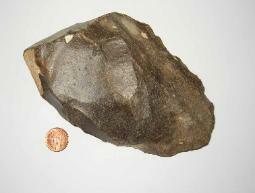 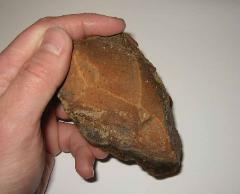 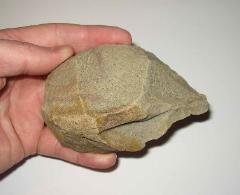 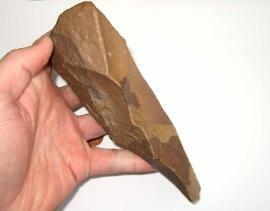 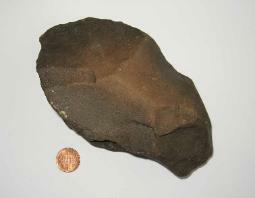 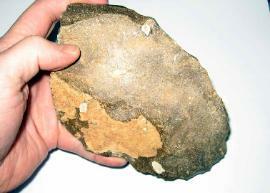 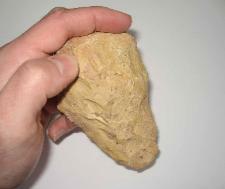 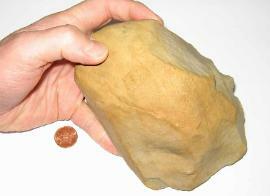 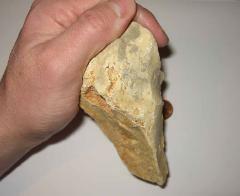 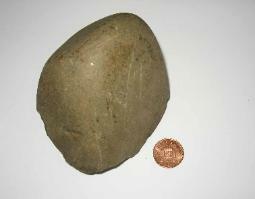 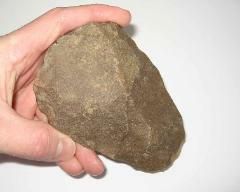 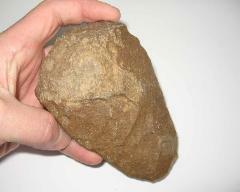 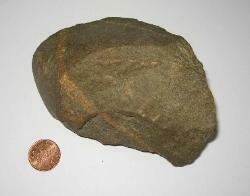 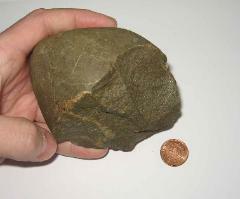 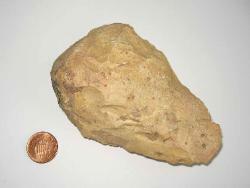 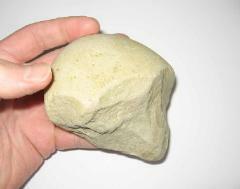 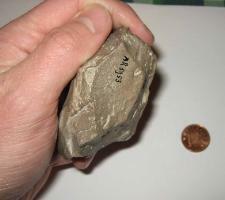 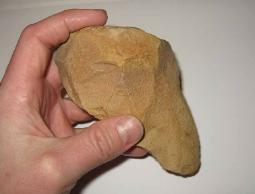 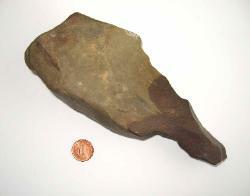 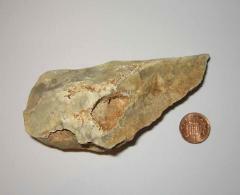 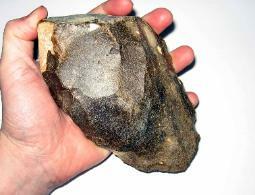 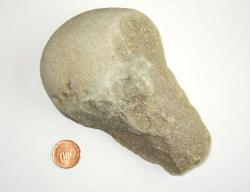 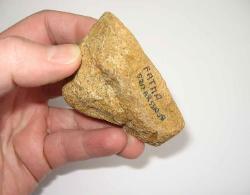 that hand-axes from Spain were made more than 900,000 years ago. 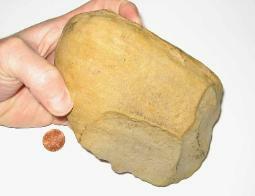 the Elsterian Stage of the Pleistocene Ice Age, which covered central Europe between 478,000 and 424,000 years ago. 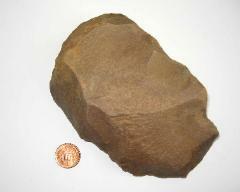 600,000-500,000 years ago. 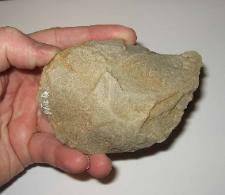 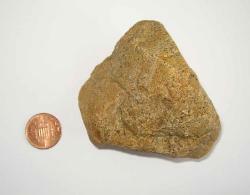 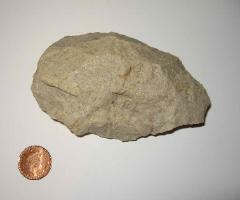 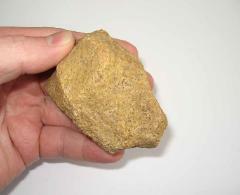 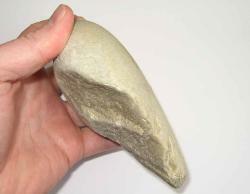 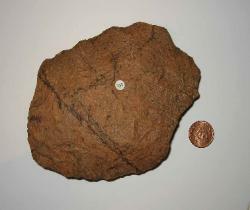 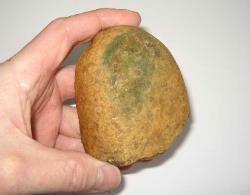 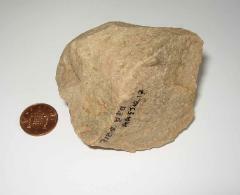 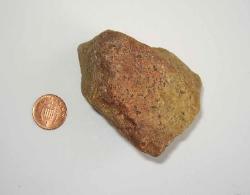 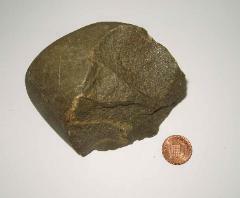 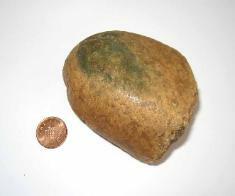 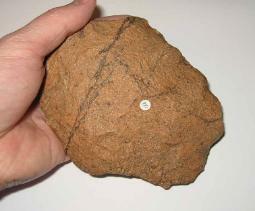 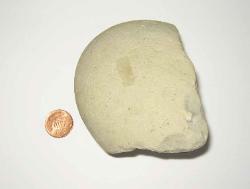 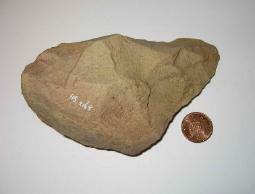 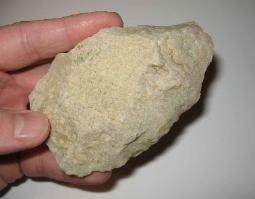 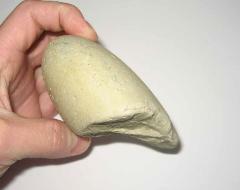 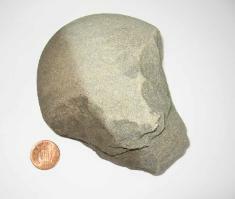 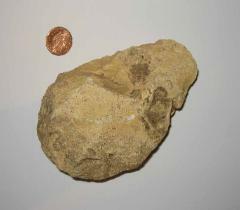 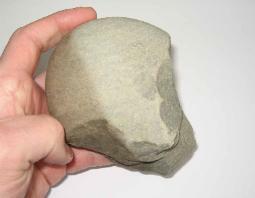 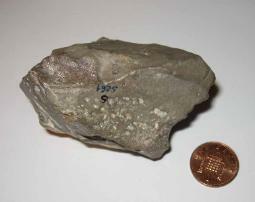 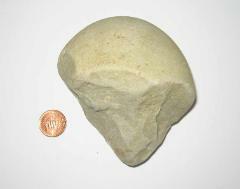 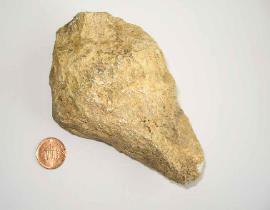 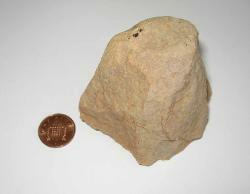 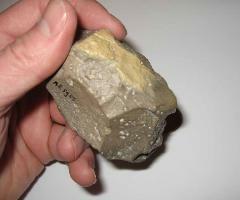 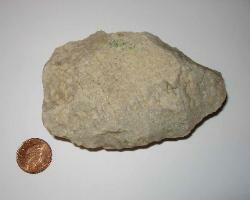 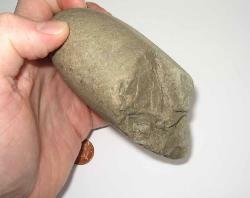 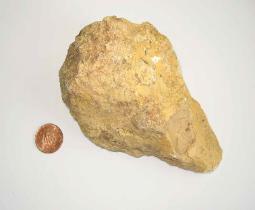 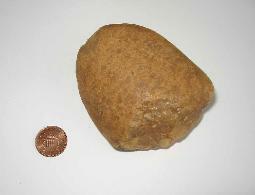 Geologically it occurred in the Middle Pleistocene, younger than about 700,000 years ago. 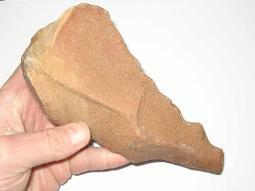 the date back into the Günz, closer to the 700,000 year mark. 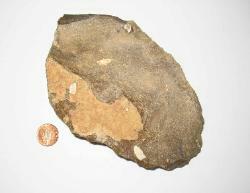 El Khalouna, Morocco. 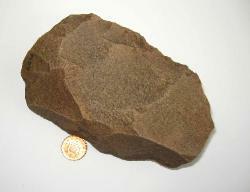 A big, heavy specimen. 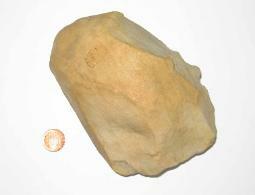 Taouime, Morocco. 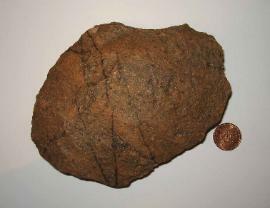 A huge, heavy specimen.